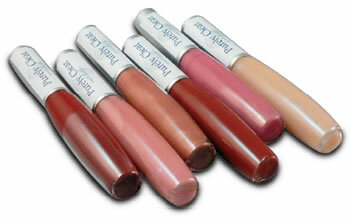 Purely Clear Lip Colours are not only all natural but contain a blend of peppermint and cinnamon oil. Cinnamon oil has many known historical uses such as promoting immune system functioning, helping with digestive health, and reducing cramps. It is also known to be an aphrodisiac. Applied to the lips it is purported to be a natural "lip plumper." Peppermint oil is also used for its digestive benefits and relaxation effects. It has painkilling and antiseptic properties as well. Therefore, its topical use can provide valuable and natural anti-bacterial protection for the lips.